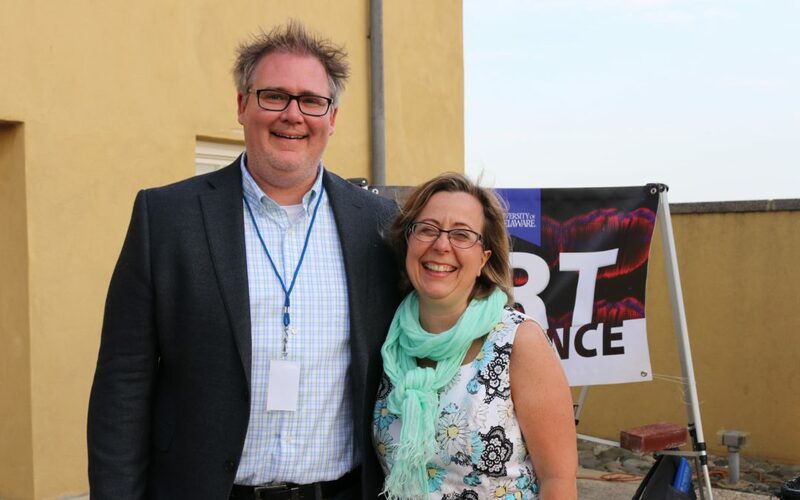 Art in Science held an opening night celebration at the Blue Ball Barn in Wilmington, Delaware, on Friday, May 4, 2018. The event was made possible by Professor John Slater (Biomedical Engineering), his event committee, and all of the researchers who submitted original, research-related art for the event. 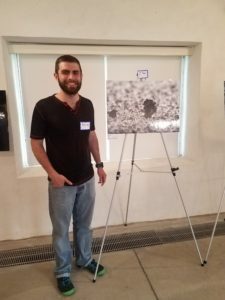 Artist Austin Kuba in Material Science and Engineering won First Place for his submission “Xenomorph,” an SEM image of a defect particle on a polycrystalline lead iodide film. Ellen Bloom won an original artwork, “Stained Glass Tendon,” by Andrea Lee. Both Ellen and Andrea work in the same lab under PI Dr. Dawn Elliott. Congratulations to artist Austin Kuba in Material Science and Engineering on winning the 1st place image for Art in Science 2018. His submission “Xenomorph” was an SEM image of a defect particle on a polycrystalline lead iodide film.